Kareena Kapoor-starrer 'Heroine' is working wonders in the overseas market. The Madhur Bhandarkar movie, based on the ups and downs in the life of an actress, was reportedly made at a budget of Rs 32 crore. It released in 42 screens in the Middle East Thursday, and has earned $350,000, with 19 screens still to report the numbers. In India, Britain and the US, the movie opened Friday. Iregistered Rs 7.5 crore earnings in India, in Britain, it made $78,402 from 41 screens, while in the US, 'Heroine' minted $140,000 (it released in 112 screens, and six screens are yet to report the numbers. 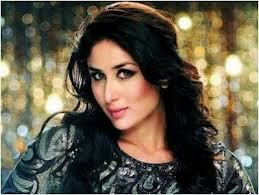 "'Heroine' has seen a phenomenal opening in all major international markets. This was a highly anticipated movie and our marketing push has helped pull in massive crowds to theatres. No other female lead has seen such a response in recent years. 'Heroine' also features Arjun Rampal and Randeep Hooda in key roles. The movie had a strong buzz around it, and it was heavily promoted across all quarters.